After fifteen albums and two decades on the music scene, Aswad remain one of Britain’s best loved reggae bands. Originally led by the trio of Brinsley “Dan” Forde (on vocals and rhythm guitar), Angus “Drummie Zeb” Gaye (on vocals and drums) and Tony “Gad” Robinson (on bass), Aswad is renowned among reggae fans for their rich melodies and compelling harmonies, woven over hard rhythm tracks and inspired horn riffs. Aswad (a name derived from the Arabic word for “black”) was formed in the Ladbroke Grove area of West London in 1974. The trio first gained national attention in 1976 when their debut release ‘Back To Africa’ hit the #1 slot on the UK Reggae Charts. ‘Love Fire’, their popular anthem released in 1981, eventually became part of the reggae canon and is still covered today by many Jamaican record producers. The group’s 1983 Island release Live and Direct is considered one of the quintessential live reggae albums. By the mid 80s, the Aswad rhythm section of Drummie and Tony had contributed to a number of top British reggae hits by such artists as Janet Kay, Smiley Culture, Trevor Walters and Trevor Hartley. Later in the decade, the band became known for their adventurous fusion of such different musical styles as dancehall, funk, hip-hop and dub. The band has toured extensively, playing to packed houses in such diverse locales as London’s Royal Albert Hall and Montego Bay’s Reggae Sunsplash to West Africa, Israel and Japan. 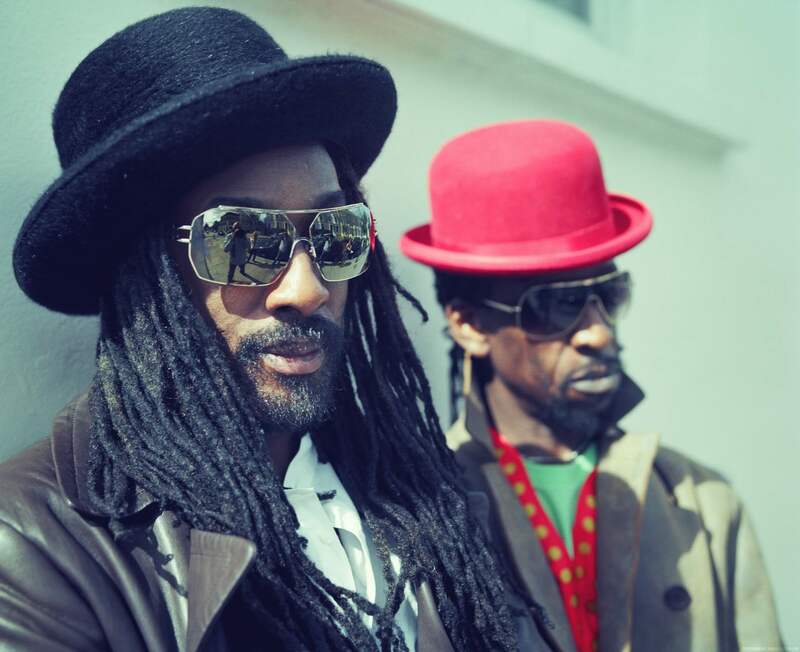 Aswad, after more than 25 years, are still the purveyors of the UK reggae scene and will continue to be way into the next millennium.